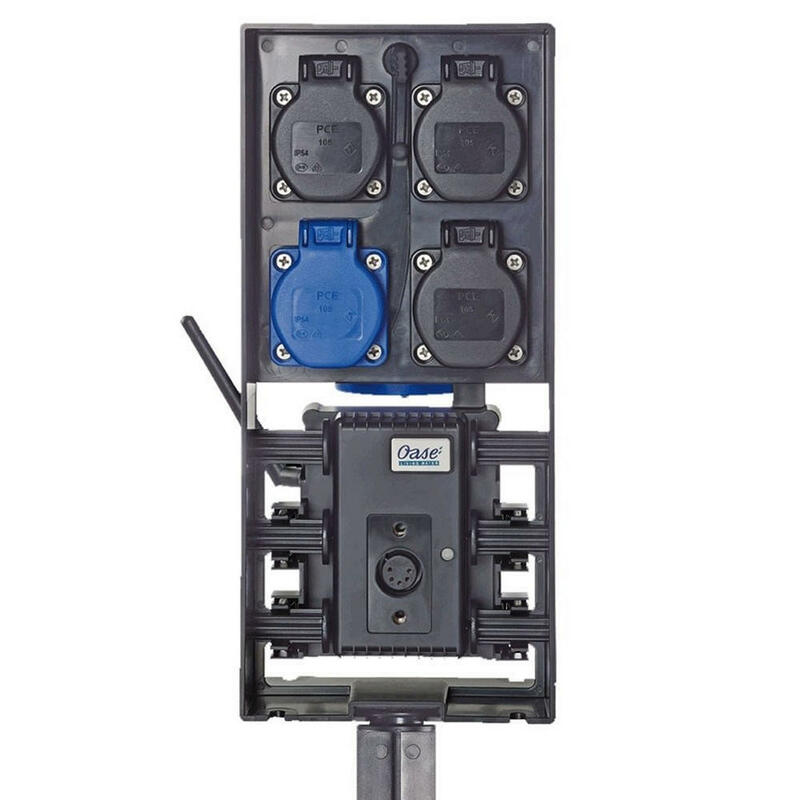 The Oase InScenio FM-Master EGC Cloud is a revolutionary device controller that allows you to easily control your pond equipment with ease. 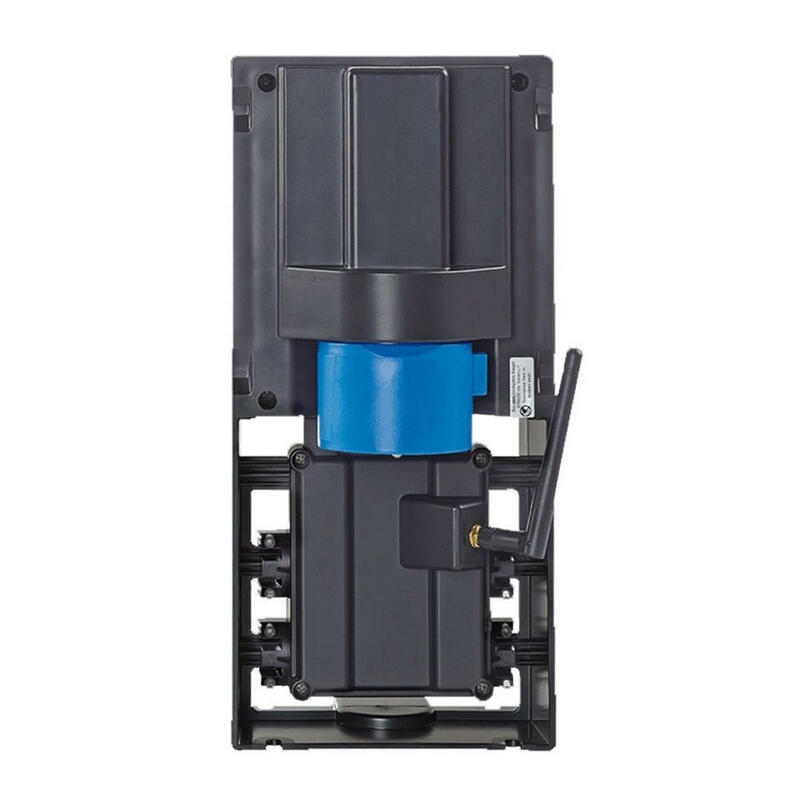 Featuring 4 mains power sockets in a wireless outdoor switch box, the FM-Master allows you to turn devices on and off via your phone or tablet, and you can even use the dimmable socket option for devices such as lighting to control the intensity of your lights on the fly. 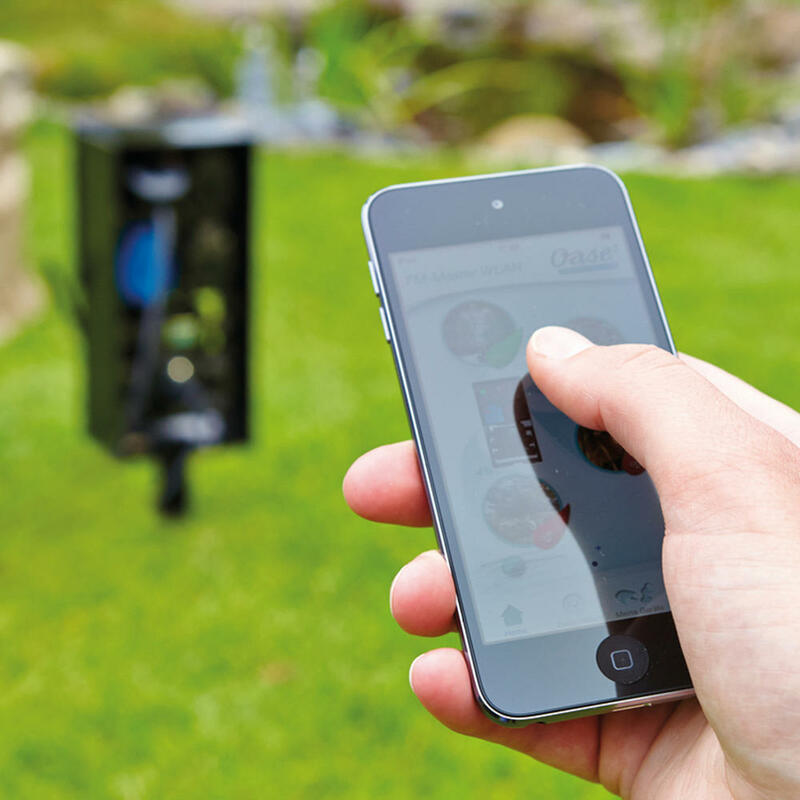 The FM Master has a wireless connection which allows you to control any of your garden devices from up to 80 meters away, and also gives you the ability to set a 24 hour timer. 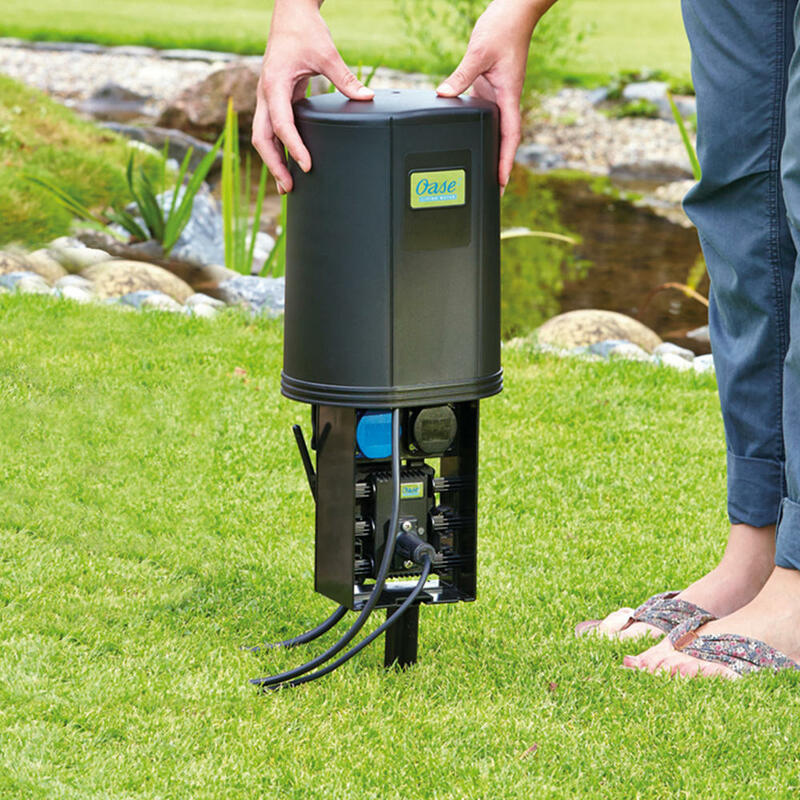 Whether thats your pond pump, filtration unit or lights, the FM-Master gives you complete control right at your finger tips. 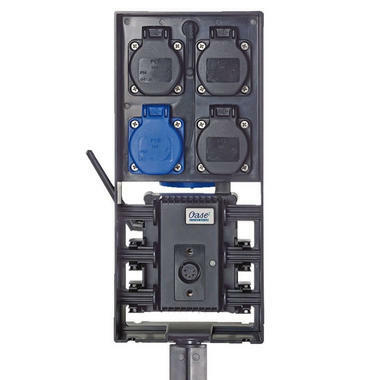 The Oase Inscenio FM-Master Easy Garden Control (EGC) Cloud includes a DMX input, allowing you to connect compatible devices via an IP68 underwater cable. 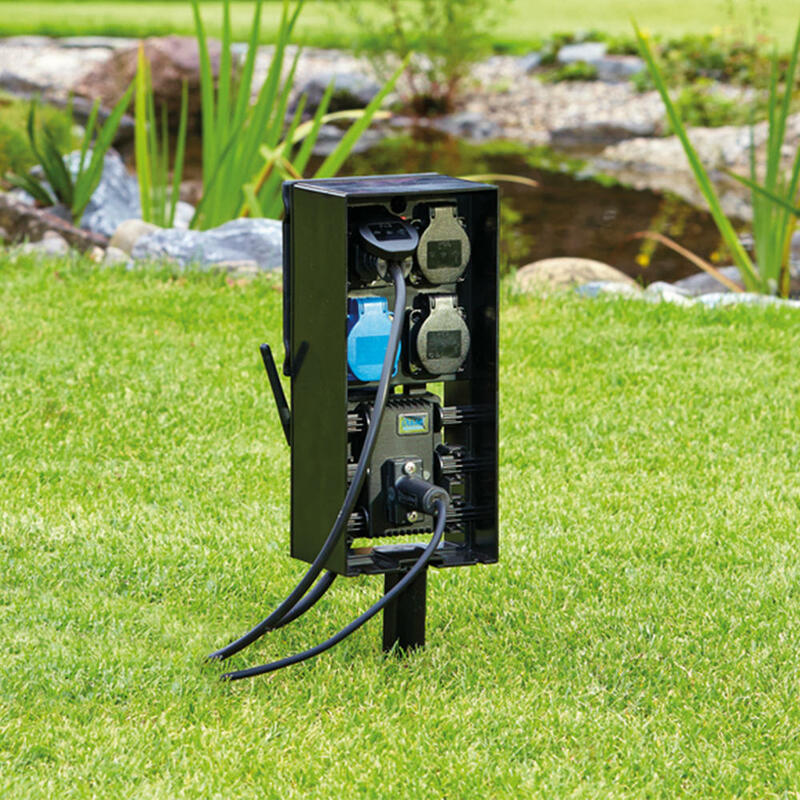 The FM-Master EGC also includes the use of the Oase Cloud, which allows you to communicate with your pond anywhere around the world. 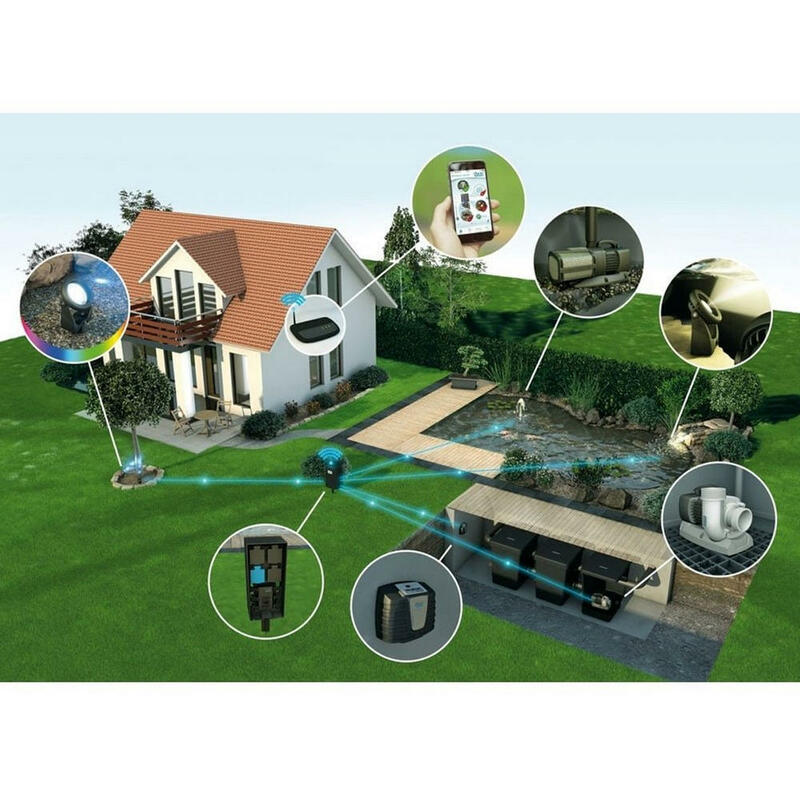 WLAN range (2,4 GHz) max.